Raised in Israel, violinist David Ehrlich started his professional career as concertmaster and soloist with the Tel Aviv Chamber Orchestra and toured as guest soloist with other Israeli chamber orchestras. In the US, after studying with Shmuel Ashkenasi, he served as concertmaster and soloist of the Colorado Festival Orchestra, Filarmonica de Caracas, Chicago Philharmonic Orchestra and was associate concertmaster with the Indianapolis Symphony Orchestra. Later, he joined the Audubon Quartet as first violinist, and toured for 17 years all over the world, performing on some of the most prestigious concert series, collaborating with many of the world’s great chamber musicians, and appearing on radio and television. David conducted master classes/lectures at USC, New England Conservatory, Oberlin, Cleveland Institute of Music, Chautauqua-NY, Arizona State University, Tel Aviv University, Ireland, Venezuela, Prague, Beijing, and many others. David is the head of Intensive Studies course at Ameropa, an international summer music festival in Prague, CZ. This highlighted in a series of performances at the prestigious Prague Spring Festival, where he was artistic director of a program dedicated to Schoenberg and Mahler. David also performs annually at the Red Rocks Music Festival, taking place in Phoenix, and Sedona, AZ. In 2013-2014, David helped mentor a new professional string orchestra in Hong-Kong, and conducted an intensive chamber music seminar in Beijing, China. In 1993, he and his wife, Teresa, founded the Renaissance Music Academy of Virginia, a nonprofit community music school located in Blacksburg, Virginia, which provides music lessons to children throughout all of southwest Virginia. In Blacksburg, David helped develop Virginia Tech’s Vocal Arts and Music Festival, where he is in charge of the instrumental chamber music program and intensive string quartet seminar. He is also the artistic director of Musica Viva, a chamber music concert series based in Blacksburg. Since 2004, David has served as a Fellow of Fine Arts at Virginia Tech. He performs on a violin made by Carlo Bergonzi (1735), through the generosity of the Virginia Tech Foundation. Ms. Ehrlich began her musical training at the age of four. Born and raised in the Midwest, she received her master of music degree in piano performance and pedagogy from Northern Illinois University as a student of Donald Walker. Ms. Ehrlich’s other teachers have included Gyorgy Sebok, Menachem Pressler, and Leon Fleisher. She has received critical acclaim throughout the United States, Israel and South America, where she has performed as recitalist and soloist with orchestras including the Sinfoica de Maracaibo and the Filarmonica de Caracas in Venezuela. In addition to her solo and orchestral engagements, she is active as a chamber musician and has performed as a guest artist with the Audubon, Vermeer, Cassatt, and Vanbrugh quartets. Ms. Ehrlich has been a participant in the Banff Festival in Canada, Yale Chamber Music Festival, Music at Gretna Festival, New Hampshire Music Festival, Chautauqua Festival in New York, and the Sanibel Island Festival. She has performed during numerous live broadcasts on radio station WFMT in Chicago and is also frequently heard on National Public Radio. As well as being a founder of the Renaissance Music Academy of Virginia, Ms. Ehrlich is also the Executive Director of the school and a member of the piano faculty. She is a member of the chamber group Avanti Ensemble which performs throughout Virginia. Since 2005, Ms. Ehrlich has been a faculty member in “Ameropa” an international summer festival in Prague, Czechoslovakia. 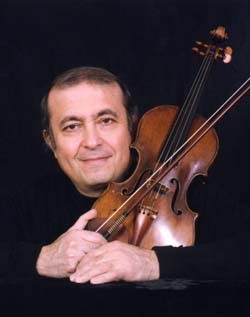 Critics, colleagues and audiences regard Shlomo Mintz as one of the foremost violinists of our time, esteemed for his impeccable musicianship, stylistic versatility and commanding technique alike. 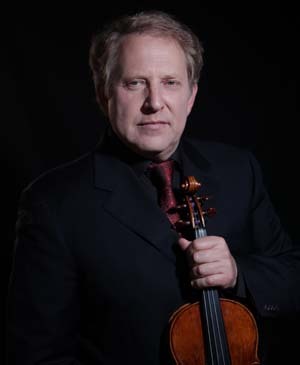 Born in Moscow in 1957, he immigrated to Israel and studied the violin with Ilona Feher. At the age of 11, he made his concert debut with the Israel Philharmonic Orchestra and at the age of 16 he made his debut in Carnegie Hall with the Pittsburgh Symphony Orchestra, under the patronage of Isaac Stern. Since then he is a celebrated guest with orchestras and conductors on the international music scene, and has appeared with historical musicians like Sergiu Celibidache, Pablo Casals, Eugene Ormandy, Claudio Abbado, Lorin Maazel, Mistislav Rosptropovich and Carlo Maria Giulini. In the 2012/2013 Season, he celebrated his 50th anniversary with the National Orchestra of France in a special concert at the Champs Elysées Theatre as a conductor and a soloist. A regular President of Jury (Wieniawski, Sion, Buenos Aires and Munetsugu violin competitions) and Artistic Director of many International Music Festivals, he is currently sought after to conduct Master Classes all over the world. Mintz is also a co-founder of Violins of Hope, a project that aims to promote peace through music. He has won several prestigious prizes including the Premio Internazionale Accademia Musicale Chigiana, the Diapason D’Or, the Grand Prix du Disque, the Gramophone Award and the Edison Award. In 2006 he was awarded an Honorary Degree from the Ben-Gurion University in Beersheba, Israel. In 2015 and during two years Mintz was named the soloist in residence of the Queensland Symphony Orchestra. In Autumn 2016 Shlomo Mintz has been awarded with the Cremona Music Award 2016. Next season includes performances in Europe, North and South America and Asia. A native of Romania, Jan Simiz studied at the Ciprian Porumbescu Conservatory in Buchares. In 1980, Mr. Simiz arrived in Los Angeles and won the principal cellist position with Neal Stulberg and the Young Musicians' Foundation "Debut" Orchestra. 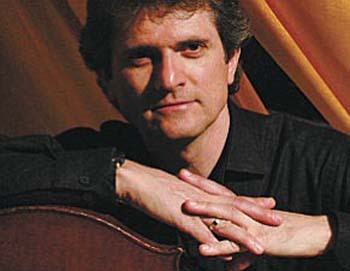 He received his master's degree in cello performance from the University of Southern California where he studied with Eleanor Schoenfeld. In 1985 Mr. Simiz joined the Phoenix Symphony and became assistant principal cellist in 1989. He is also principal cellist for the Music in the Mountains Festival in Durango, Colorado. He frequently performs in chamber music ensembles. 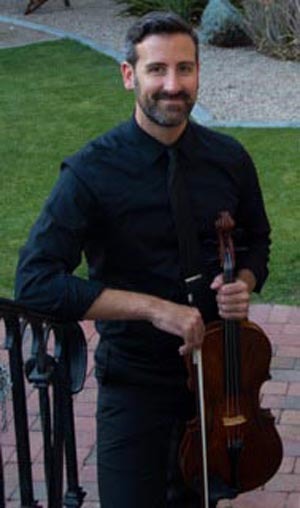 In 2008, Christopher McKay joined The Phoenix Symphony as a section viola player and is currently the Acting Assistant Principal Viola, a post he has held since 2009. Maintaining an active orchestral performing career, his other current orchestral engagements include performances with the Grant Park Orchestra in Chicago and the Central City Opera in Colorado. 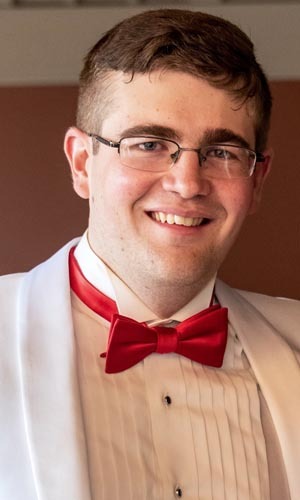 Previous orchestral experience includes a one-year position with the Louisville Orchestra from 2007-08, substitute with the Indianapolis Symphony Orchestra, and positions with the Evansville Philharmonic Orchestra, Owensboro Symphony, New Jersey Opera, Baton Rouge Symphony Orchestra, and the Lancaster Festival Orchestra. In addition to his extensive orchestral experience, Mr. McKay’s career also includes chamber musician, soloist, and teacher. From 2001-07 he held a unique position with the Evansville Philharmonic Orchestra and the University of Evansville that included a residency with the Eykamp String Quartet. As a member of the Quartet he performed numerous concerts each year at the University, gave various outreach concerts in and around the Evansville metropolitan area, and coached University and Youth Orchestra students in chamber and orchestral music. As Principal Viola of the Philharmonic he had the opportunity to perform as a soloist in Wolfgang Amadeus Mozart’s Sinfonia Concertante for Violin and Viola in 2004, and performed the part of Sancho Panza in Richard Strauss’ Don Quixote in 2006. His duties as Adjunct Instructor of Viola at the University included teaching private viola lessons and performing solo recitals. As a passionate chamber musician, Mr. McKay, along with TPS first violinist Karen Sinclair, founded the modular chamber music ensemble Urban Nocturnes in 2009. Born out of friendship and a desire to collaborate together, this ensemble has expanded to a six-person roster and is dedicated to the highest level of performance of the traditional chamber music repertoire. As a Phoenix based ensemble they are currently Artists-in-Residence at the Trinity Episcopal Cathedral in downtown Phoenix, AZ. Mr. McKay received his viola performance degrees from Louisiana State University (BM) and Indiana University (MM), and has twice been a fellow at the world renowned Tanglewood Arts Center. His primary teachers were Julian Wilkison, Alan deVeritch, and Jerzy Kosmala, with additional instruction from Paul Neubauer and James Dunham. Alex Laing began playing the clarinet at age 11 in his hometown of Silver Spring, Maryland. In 2002 he joined The Phoenix Symphony as principal clarinet. An accomplished instrumental artist, Alex's work represents a modern take on orchestral practice. Active in his community as a performing and teaching artist, he is committed to exploring how an orchestral musician - and an orchestra - navigates the push and pull between a legacy art form and its unfixed future. A long time believer in community engaged music making, he recently started The Leading Tone, a non profit after school program. The project brings music instruction to kids while exploring music as a context for youth development. Alex is fortunate to have garnered honors and awards in his career, most recently being recognized with a 2018 Sphinx Medal of Excellence and named one of Musical America's Professionals of the Year for 2017. A former fellow of the Tanglewood Music Center, Aspen Music Festival, New World Symphony and Detroit Symphony Orchestra, he has in recent years been an invited speaker to the annual conferences of both the Association of British Orchestras and the League of American Orchestras. 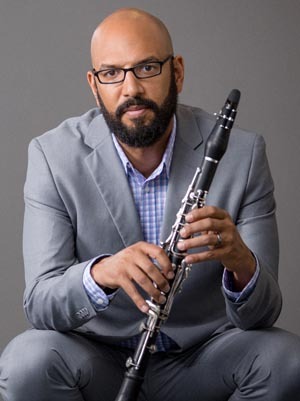 He was a faculty member for the 2017 National Take A Stand Festival and the 2018 and 2019 League of American Orchestra's 'Essentials of Orchestra Management' seminar and serves on the board of directors for Gateways Music Festival and Arizona School for the Arts. A graduate of Northwestern University, he received his master's degree in Orchestral Performance from the Manhattan School of Music, an artist's diploma from the Sweelinck Conservatorium Amsterdam and a certificate in nonprofit management from Arizona State University's Lodestar Center for Philanthropy and Nonprofit Innovation. “Adventurous and passionate” (The New Yorker) Ukrainian-born American pianist Inna Faliks has established herself as one of the most exciting, committed, communicative and poetic artists of her generation. Faliks has made a name for herself through her commanding performances of standard piano repertoire, as well genre-bending interdisciplinary projects, and inquisitive work with contemporary composers. After her acclaimed teenage debuts at the Gilmore Festival and with the Chicago Symphony Orchestra, she has performed on many of the world’s great stages, with numerous orchestras, in solo appearances, and with conductors such as Leonard Slatkin and Keith Lockhart. Faliks is currently Professor of Piano and Head of Piano at UCLA. Critics praise her “courage to take risks, expressive intensity and technical perfection” (General Anzeiger, Bonn), “remarkable insight” (Audiophile audition) “poetry and panoramic vision” (Washington Post), “riveting passion, playfulness” (Baltimore Sun) and “signature blend of lithe grace and raw power” (Lucid Culture.) Her October 2014 all-Beethoven CD release on MSR classics drew rave reviews: the disc’s preview on WTTW called Faliks “High priestess of the piano, concert pianist of the highest order, as dramatic and subtle as a great stage actor.” Her previous, critically acclaimed CD on MSR Classics, Sound of Verse, was released in 2009, featuring music of Boris Pasternak, Rachmaninoff and Ravel. Her discography also includes a recital recording for the Yamaha Disklavier label, Chopin solo and cello sonatas recording with cellist Wendy Warner, and well as “Polonaise-Fantasie, Story of a Pianist” for Delos – a recital of short piano works from Bach to Chopin and Carter, combined with autobiographical essays written by Faliks. Ms. Faliks’s distinguished career has taken her to thousands of recitals and concerti throughout the US, Asia, Europe and the Middle East. Highlights of the recent seasons include performances in Ravinia Festival and the National Gallery in DC, recital tours of China, with appearances in all the major halls such as Beijing Center for Performing Arts, Shanghai Oriental Arts Theater and Tianjin Grand Theater, as well as acclaimed performances at the Festival Intenacional de Piano in Mexico, in the Fazioli Series in Italy and in Israel’s Tel Aviv Museum, at Portland Piano Festival and with the Camerata Pacifica, with the modern dance troupe Bodytraffic at the Broad Stage Santa Monica, and Jacaranda Series in Los Angeles, where she performed Rzewski’s The People United Will Never Be Defeated. Faliks has been featured on WQXR, WNYC, WFMT and many international television broadcasts, and has performed in many other major venues, such as Carnegie Hall’s Weill Concert Hall, Metropolitan Museum of Art, Paris’ Salle Cortot, Chicago’s Symphony Center, Moscow’s Tchaikovsky Hall and in many important festivals such as Verbier, Newport, Portland International, Music in the Mountains, Mondo Musica Cremona, Brevard, Taos, International Keyboard Festival in NYC, Bargemusic, and Chautauqua. She is regularly engaged as a concerto soloist nation-wide: recent appearances include Beethoven 4th with Minnesota Sinfonia, Peninsula Festival, where she played the 1st and 3rd Prokofiev Concerti in the same half of the program with Victor Yampolsky, Rachmaninoff 2nd concerto with Dmitry Sitkovetsky and Greensboro Symphony Gershwin Project with Daniel Meyer and the Erie Symphony, Clara Schumann Concerto at Wintergreen Festival, Robert Schumann Concerto with Miami Symphony. 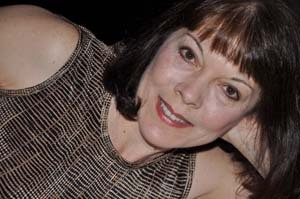 Her chamber music partnerships include work with Gilbert Kalish, Ron Leonard, Fred Sherry, Ilya Kaler, Colin Carr, Wendy Warner, Clive Greensmith, Antonio Lysy, and others. Faliks is a founding member of the Hollywood Piano Trio, with Roberto Cani, Concertmaster of LA Opera, and Robert deMaine, Principal Cellist of the LA Philharmonic. Faliks is the founder and curator of the of the Manhattan Arts Council award winning poetry-music series Music/Words, creating performances in collaboration with distinguished poets.This has been described as “surreal, impactful, and relevant” (Lucid Culture). Her long-standing relationship with WFMT radio has led to multiple broadcasts of Music/Words, which she had produced alongside some of the nation’s most recognized poets in performances throughout the United States. An artist known for his versatility, Faliks is equally at home with standard repertoire, rare and new music, and interdisciplinary performances. She recently co-starred with Downton Abbey star Lesley Nicol in “Admission – One Shilling”, a play for pianist and actor about the life of Dame Myra Hess, the great British pianist. Most recently, she is touring with her autobiographical recital-monologue, “Polonaise-Fantasie, the Story of a Pianist” throughout the US and Canada. Constantly in dialogue with today’s composers, she has had works composed for her by Timo Andres, Billy Childs, Richard Danielpour, Paola Prestini, Ljova, Clarice Assad, Peter Golub, and many more. She was the winner of many prestigious competitions, including Hilton Head International Piano Competition and International Pro Musicis Award. Faliks is internationally in demand as an Artist Teacher, and frequently adjudicates competitions gives masterclasses and travels to Artist Residencies in major conservatories and universities around the world. Her past teachers included Leon Fleisher, Boris Petrushansky, Gilbert Kalish, Ann Schein, and Emilio del Rosario. Inna Faliks is a Yamaha Artist. Grammy®-nominated recording artist, a concert violinist since the age of four, and an award-winning performer (2017 & 2018 GOLD MEDAL at the Global Music Awards), Elmira Darvarova caused a sensation, becoming the first ever (and so far only) female concertmaster in the history of the Metropolitan Opera in New York. With the MET Orchestra she toured Europe, Japan and the United States, and was heard on the MET's live weekly international radio broadcasts, television broadcasts, CDs and laser discs on the Sony, Deutsche Grammophon and EMI labels. As concertmaster of the Metropolitan Opera she has performed with the greatest conductors of our time, including the legendary Carlos Kleiber. She studied with Yfrah Neaman at the Guildhall School in London (on a British Council scholarship), with Josef Gingold at Indiana University in Bloomington (as one of his assistants), and with Henryk Szeryng (privately). 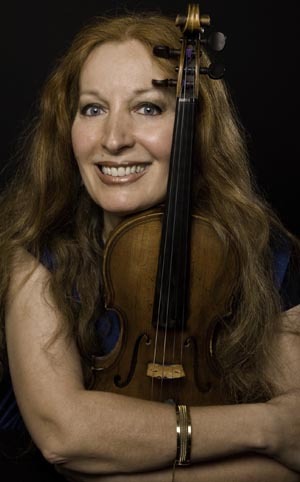 An award-winning artist (Gold Medal at the 2017 and 2018 Global Music Awards, the Gold Quill Award by Classic FM Radio, and the Boris Christoff Medal), and hailed by American Records Guide as a “marvelous violinist in the Heifetz tradition”, Elmira Darvarova can be heard on numerous CDs, recorded for several labels (recent releases include the world premiere recording of Vernon Duke's violin concerto with the ORF Vienna Radio Symphony Orchestra, and a CD with world-premiere recordings of chamber music by René de Castéra, named by MusicWeb International a RECORD OF THE YEAR 2015). Several of her albums have been selected as Record of the Month by the prestigious publication MusicWeb-International. Her CDs have won critical acclaim in such esteemed publications as The Strad Magazine, Gramophone, Fanfare, American Records Guide, BBC Music Magazine, Klassik Heute. 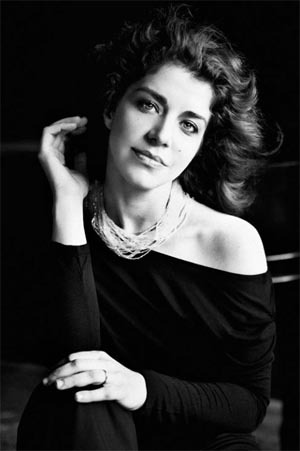 She has appeared on the most prestigious stages of five continents (including Carnegie Hall, as soloist with orchestra), and has performed concertos with the Moscow State Symphony, the ORF Vienna Radio Symphony, and with numerous other orchestras. Well-versed not only in opera, symphonic and chamber music repertoire, she performs and records in many other genres and styles, including tango, jazz, blues, folk, world music, contemporary/ electronic music, Stroh violin, and Indian Ragas. She has partnered for chamber music performances with music giants such as Janos Starker, Gary Karr, Pascal Rogé, Vassily Lobanov, with tango and jazz legends such as Octavio Brunetti, Fernando Otero and David Amram, and with the world-renowned Indian classical musician, the superstar of the Sarod: Amjad Ali Khan, with whom she recorded a trilogy of CD albums, based on traditional Indian Ragas (released in the United States, and separately, on the Indian sub-continent). She has recorded 2 CD albums of Baroque music (world-premiere recordings) with the world's most renowned double bassist Gary Karr, and she has performed with him Bottesini's Gran Duo Concertante in the United States and Canada. She has also recorded 3 CDs of music by Astor Piazzolla, two of them with the late great tango pianist and arranger Octavio Brunetti (named by the New York Philharmonic "the inheritor of Piazzolla's mantle"), and she has performed in a duo with Octavio Brunetti at festivals in the US and Europe. For the Naxos label she has recorded 3 CDs of chamber music by Franco Alfano (world-premiere recordings). 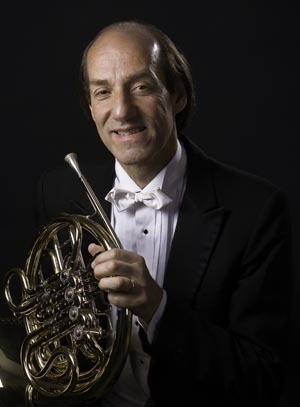 Howard Wall, a native of Pittsburgh, joined the horn section of the New York Philharmonic in 1994 (The Ruth F. and Allan J. Broder Chair), after having been a member of The Philadelphia Orchestra for almost 20 years, and a former member of the Phoenix and Denver Symphony Orchestras. He also performs and records with the All-Star Orchestra. Mr. Wall has appeared as soloist with the New York Philharmonic in Schumann’s Konzertstück for Four Horns in New York (1995, 2001, and 2007) as well as on New York Philharmonic tours in Europe (1996) and South America (2001). An avid chamber musician, he appears regularly at the New York Philharmonic Ensembles series at Merkin Hall, as well as at the New York Chamber Music Festival, and performs with the Delphinium Trio, the Amram Ensemble, and in a duo with his wife, violinist Elmira Darvarova. He can be heard on the CD “Take 9”, featuring the New York Philharmonic horn section and the American Horn Quartet, as well as on former Principal Horn Philip Myers’s “New York Legends” CD. Howard Wall recorded Poulenc’s “Elégie” for Horn and Piano with world-renowned French pianist Pascal Rogé. Mr. Wall has also recorded David Amram’s “Blues and Variations for Monk” for Solo Horn, and gave its European Premiere in Paris. Howard Wall’s most recent CD is “Phillip Ramey: Music for French Horn” (Affetto Records, 2017). Howard Wall began playing the horn at age ten and earned his bachelor’s degree in music performance at Carnegie Mellon University. He made his Carnegie Hall debut at age 19 performing Schumann’s Konzertstück for Four Horns; he most recently performed the same work again at Carnegie Hall in 2012. Howard Wall was among the performers awarded Gold Medal and Top Honors at the 2018 Global Music Awards. Weaver has appeared in many concert halls, including those in New York (Carnegie/Weill Recital Hall, Greene Space, Lincoln Center, Merkin Hall), Philadelphia, Washington D.C. (Phillips Collection), Boston (Jordan Hall), Chicago, Nashville, Dallas, Berlin, and Tanglewood Music Festival. Weaver has performed with a number of eminent musicians including Elmira Darvarova, Jess Gillam, Kenneth Radnofsky, Jennifer Frautschi, Gene Pokorny, and members of the Metropolitan Opera Orchestra, New York Philharmonic, Philadelphia Orchestra, Boston Symphony Orchestra, and others. Weaver is a currently a member of the Amram Ensemble, Trio Ardente, and New England Chamber Players. A champion of new music, Weaver has premiered many pieces, including works by David Amram, David Loeb, John Wallace, and Christopher LaRosa. Recently, Weaver was featured performing Leonard Bernstein’s Symphony No. 2 “Age of Anxiety” with the Boston University Tanglewood Institute Orchestra as part of Bernstein’s centennial celebration. This summer, he is performing George Gershwin’s Rhapsody in Blue conducted by H. Robert Reynolds at Seiji Ozawa Hall. His playing can be heard on the CD, David Amram: “So In America”, released by Affetto Records, which includes many world premiere recordings. An award-winning composer, Thomas Weaver’s music has been performed throughout the United States, Germany, Austria, and Japan. His works have been commissioned by number of organizations and musicians including The New York Chamber Music Festival, Elmira Darvarova, Britt Lasch, Pharos Quartet, Kenneth Radnofsky, Joshua Blumenthal, and the Daraja Ensemble. Weaver’s works have also been performed by large ensembles such as the Boston University Symphony Orchestra, Alea III, and Mannes American Composers Orchestra. His works have been conducted by various conductors including Theodore Antoniou, Alan Pierson, and Konstantin Dobroykov. An active educator, Weaver holds faculty positions at the Curtis Institute of Music in Philadelphia, PA and the Boston University Tanglewood Institute. Weaver has presented lectures and classes at a variety of locations, including Northwestern University, Murray State University, Austin Peay State University, and The People’s Music School in Chicago, and was keynote speaker at Boston University Tanglewood Institute’s opening exercises. Weaver’s primary piano teachers include Anthony di Bonaventura, Victor Rosenbaum, and Pavel Nersessian. His primary composition teachers include David Loeb, Dr. John Wallace, and Dr. Martin Amlin. For more information please visit www.thomaseweaver.com. Yibin Li was born in China in a small city near the Gobi Desert and began studying the violin at age five with her father. She was admitted to the prestigious Shanghai Conservatory at age 12 where upon graduation she was named to the Violin Faculty. After teaching at the Shanghai Conservatory for six years as a tenured violin professor, she felt the need to continue her studies in New York. She was admitted to The Juilliard School and gained her Masters degree. Her teachers included Lewis Kaplan, Seymour Lipkin, Peiwen Yuan and Xiaolong Liu. 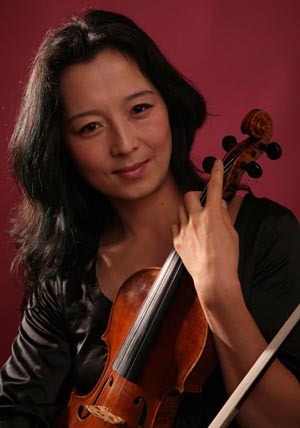 Ms. Li has performed as a soloist with major symphonies in China including the Beijing National Symphony Orchestra, Shanghai Symphony Orchestra, Taipei Symphony Orchestra and Gaoxiong Symphony Orchestra. In the US, Ms. Li gave her New York debut at Carnegie Hall in 2001, and has had solo performances with the San Diego Symphony, Hunter Symphony and Syracuse Symphony Orchestra. She is the first violinist and the founding member of the Iris String Quartet. As the director of OneMusic Project, she leads the chamber music group immerses with artists from Europe and Asian, create fresh expression in the concert hall. She directed and played chamber music recitals in many New York City venues including Alice Tully Hall, Merkin Hall, and Carnegie Hall.